Family-run house located in the center of the pedestrian zone. For lovers of alpine skiing, just cross the road and you will immediately find a ski lift that will give you the opportunity to connect to the entire west side of the valley (Carosello 3000 and Tagliede-La Costaccia). As an alternative to only 50 meters. you can find the bus stop for free that will take you to ski anywhere, including the east side (Mottolino). 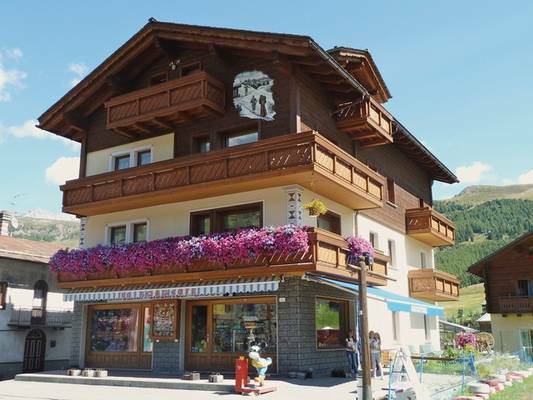 The ski pass office and the ski school are only 50 meters away. For those who love Nordic skiing, 50 meters away you will find yourself on the long and flat plain of Livigno, just 100 meters. from the Cross-Country Ski School.